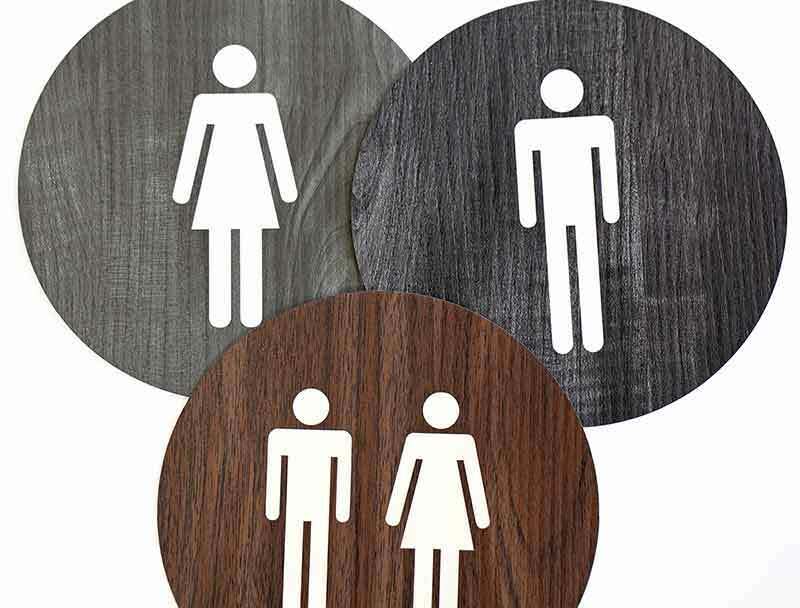 Round modern restroom signs (1/16" thick) with wood tones and laser engraved text are a professional option for bathroom signage in your office building. Choose from a variety of wood tone acrylics including grey, carbon and teak. Include man, woman, and wheelchair graphics only (as shown in photos), or add custom text at no additional charge. Available in standard 6" and 10" round sizes. If you require a custom size, contact our customer service team at service@officesigncompany.com or via phone at (701) 526-3835. Personalize your sign. Indicate line breaks using slashes (/) and include punctuation if so desired. Yes, please have our design team create a digital proof. 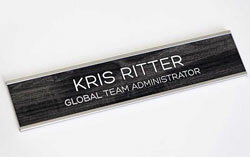 Office Desk Signs - rich wood tones sitting inside a polished silver desk frame. 2" x 10" desk signs are not only contemporary, they are functional by allowing one to switch out name plates or messages with ease. 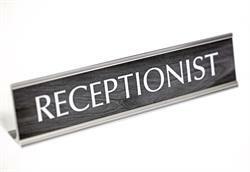 Receptionist signs or custom messages. Stylish 1/4 inch wood ADA restroom signs for bathroom doors or restroom hallway. 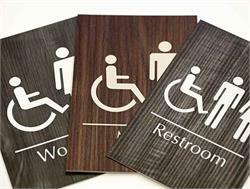 Contemporary ADA compliant restroom signs with an ash colored 1/32 inch tactile gender graphic - A stylish addition to any office or building restroom. Changeable signage for employee office doors and room signs. Cool and warm wood tones with satin silver or polished silver metal frame options. 10 x 2 inch professional looking interchangeable office signs. Customize at no additional charge! 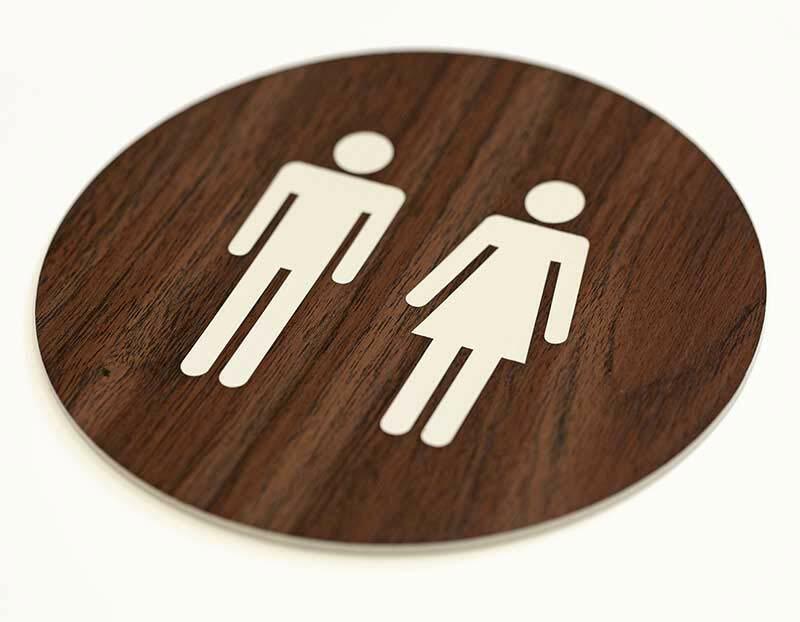 Wooden bamboo restroom signage for bathrooms with engraved gender graphics is a great way to add a contemporary feel to a modern space. These signs are an environmentally friendly option made primarily from bamboo, a renewable resource. 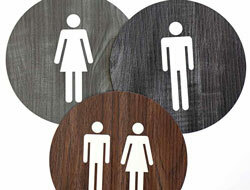 Wood tone restroom and bathroom signs - A natural looking wooden sign with the durability of an engrave-able plastic. Rich and warm tones will add to any restaurant or office decor. 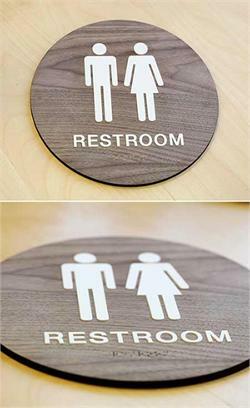 Contemporary restroom signs and bathroom signage. Easy to clean signs. 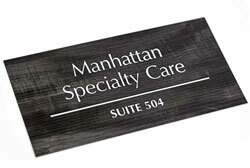 Interior office signs with wood tones and custom laser engraved text offer a professional look for any office. Personalize with your company logo and custom text for no additional charge! Available in a variety of sizes and wood tones. 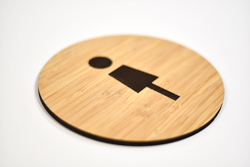 Simple Round Engraved Restroom Signs for interior and exterior signage needs. Free text and graphic personalization. Laser engraved - available in a virtually unlimited colors. 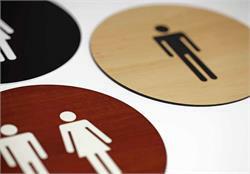 Round bathroom signs and office signs.